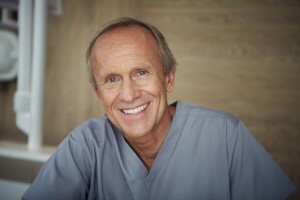 Dr Brycki graduated from the University of Sydney in 1980 and for over thirty years has been providing patients with the highest quality of dental care possible. Having initially been employed in private practice in Newcastle, as well as on staff at two hospitals performing surgical procedures on children and adults, he moved back to Sydney to purchase its longest-running practice. He practiced there for the next twenty years, until selling the clinic to be able to spend more time with his wife and five children. He has continued his pursuit of post-graduate education with numerous local and international courses and has also studied at the prestigious Pankey Institute in Florida. While much has changed in dentistry over the last thirty years, Dr Brycki continues to keep abreast of all facets of dental care. He has lectured both in Australia and internationally, retained longstanding memberships to numerous dental organizations and has served as Secretary and President of the Northern Suburbs Dental Group. Whether providing smile enhancements, reconstructive dentistry or just a routine check-up and cleaning, he loves to make people smile. Dr Brycki uses the latest technology available to provide state-of-the-art dental treatment combined with an awareness of comfort and care that only comes from experience.